Former movie star Jenna Hughes left Hollywood for an isolated farm in Oregon to get away from fame. 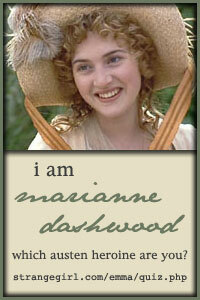 But someone has followed her-an obsessed fan whose letters are personal and deeply disturbing. While Jenna’s already shaken up by what she’s seen on paper, she’d be terrified if she knew what Sheriff Shane Carter is investigating. It’s a shocking case that started with the discovery of a dead woman in the woods. Now two more women are missing, one of whom bears a striking resemblance to Jenna. As a winter storm bears down on the Pacific Northwest, a merciless killer’s grisly work has only just begun. Jenna is getting closer to meeting her biggest fan-one who wants nothing more than to see her dead. My review: Once again I found myself totally wrapped up in a book. 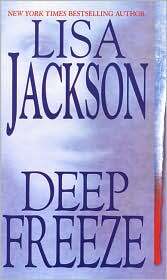 Lisa Jackson has a very twisted killer in this book, who kills with the cold. Taking an obsessed fan to new levels, he abducts women with the same physical characteristics as Jenna (won’t tell you why, that would be a major spoiler, but trust me it is creepy) and leaves dead bodies behind him and seems to be unstoppable. You wonder how he is able to do everything he does, but it is not revealed until the end and when everyone knows, then you wonder how can anyone stop him. Another thing I like about Lisa Jackson, is her endings are not all the same, like some authors that I have stopped reading. She has fresh twists to her books. Posted by Belleza on June 9, 2009 in Thriller and tagged 4 Stars, June Books Read, Lisa Jackson Read-a-Fest, Review. I haven’t read any of Lisa Jackson’s books before – she sounds like an interesting author, and this definitely sounds like an interesting read.